John Shrapnell is a descendant of British army officer John Shrapnel, inventor of the 'shrapnel shell' which helped give its name to the shards produced by exploding shells. Apart from a spell in the Royal Air Force, the later Shrapnell's career has been in television. His career as a journalist, reporter, director, editor, producer and actor spans nearly half a century. When television began in New Zealand in the early 1960s, Shrapnell worked as one of two editors of the NZ Broadcasting Corporation's Television Newsreel. The editor's task was to drive each day to the airport and collect boxes of film sent from overseas, select and edit the best material for a local audience, write a script, and add music and a voice-over. Shrapnell's work broadened into producing other programmes such as 1964's The Veteran Statesman, a tribute to Sir Winston Churchill. During a two year sabbatical in the UK, Shrapnell worked as a presenter on London Line for the British Government's Central Office of Information. He was also a reporter on the BBC's Today, and spent a year as a duty editor at international news agency Visnews (later to become part of Reuters Television). On his return to the NZBC, Shrapnell began reporting and directing for the Wellington version of popular nightly magazine show Town and Around. It was there he earned the nickname in the press as Mr Relaxation. Some writers attributed this to "his intelligent, insistent questions put with polite charm". 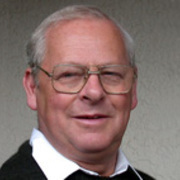 As well as covering local events, Shrapnell was the sole television reporter sent to the International Court of Justice in The Hague for New Zealand's case against French nuclear testing. Later he covered Prime Minister Norman Kirk's tour of Asia, which ended with both Shrapnell and Kirk in a Darwin hospital with the same illness. With the splitting of NZBC into two channels, Shrapnell was assigned to Television One, where he rapidly became one of the channel's senior reporters. He also directed and produced numerous documentaries for the series Sunday's World. He concentrated in the performing arts field, including producing the films Limbs and Impulse Dance Theatre. Covering state visits was one of his specialties: beginning with US President Lyndon Johnson and the Shah of Iran, through to successive royal visits by the Queen and her family. His experience was such that he would later be appointed as co-ordinator of broadcast coverage of royal visits. A move into the training field saw Shrapnell being made responsible for training of television news reporters and presenters. He watches, mainly with pride, as some of those he trained continue to appear on screens, both in New Zealand and overseas. Shrapnell is often confused with his cousin, veteran British actor John Shrapnel. When the two met in London, the English Shrapnel said he was jealous that the Kiwi Shrapnell had met and talked with the Queen. The New Zealand Shrapnell replied that he was jealous the London Shrapnel had got to act with Julia Roberts. In his own acting career, Shrapnell has taken small roles in tele-movie Clare, kidult series Revelations, and in the fifth episode of the acclaimed Insiders Guide to Happiness.